From the portfolio of wheel loaders for the timber industry, Liebherr is exhibiting the L 514 and L 556 wheel loaders at the Ligna 2015 trade fair. 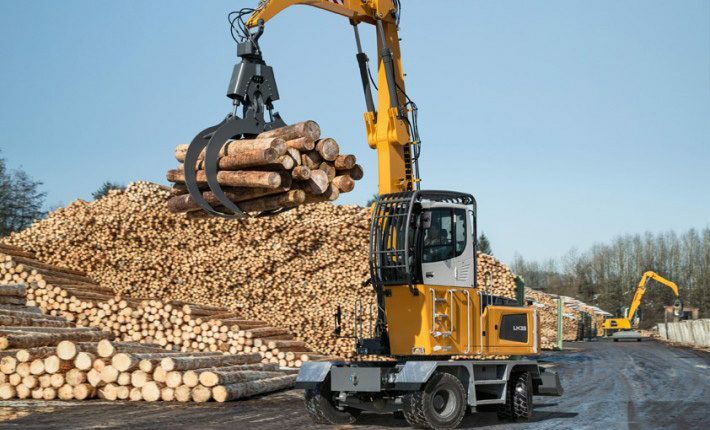 Liebherr offers a wide range of equipment options that were especially developed for companies of the timber industry – such as numerous attachment tools for handling trunks and other biomass, or an optimised cooling system for deployment in areas with heavy dust. In this way, companies of the timber and forestry industry can adapt Liebherr wheel loaders to their individual requirements.